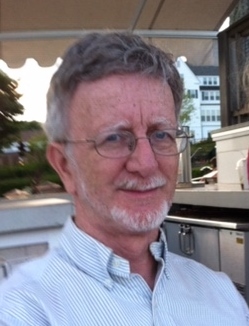 Obituary for John J. DeMarco | Compassionate Funeral Care Inc.
SARATOGA SPRINGS - John J. DeMarco, age 70, passed away peacefully on Tuesday, March 26, 2019 with his loving family by his side. He was born on July 31, 1948 in Troy, NY, the son of the late Anthony A. DeMarco and Mabel Clous DeMarco. John was the founder, owner and operator of the Lyrical Ballad Bookstore on seven and nine Phila Street, downtown Saratoga Springs, NY, for 48 years. He had a deep spiritual foundation and lived by those principles, he was loved by all who came to the store locally and from afar and many became like family to him. He was the pillar of the community when Saratoga Springs was just beginning to form, he helped usher in other fellow business owners. His vision revolutionized the meaning of a rare book. His love and passion for books took the community to another level of what a good book was. John’s Lyrical Ballad bookstore became a cornerstone of the community, a neighborhood bookstore for those looking for a good book to read, a comfortable chair or just a good book recommendation. John was loved by all his customers and the community of business owners in downtown, but most of all, John loved his customers just as much as he loved his books. John is survived by his wife Janice Villamil DeMarco; brothers, Anthony (Joe) DeMarco (Wendy), Mike DeMarco, David DeMarco (Michelle); sisters, Tina DeMarco, Karen DeMarco, Joan Connors (James); uncle, John Clous; sisters-in-law, Marilyn Villamil, Sharon Villamil; nieces and nephews, Christopher Villamil (Tricia), Elizabeth Cummings (Mark), Anthony, Andrew, Jennifer, Paul, Shannon, Sarah, Brandon, David; grandnephew, Liam Villamil; grandniece, Reese Villamil; many great nieces, nephews and friends who will miss him dearly. He is preceded in death by his brother-in-law, Keith Villamil. At the family’s request there will be a private service. In lieu of flowers, a donation in memory of John can be made to a Charity of your choice.